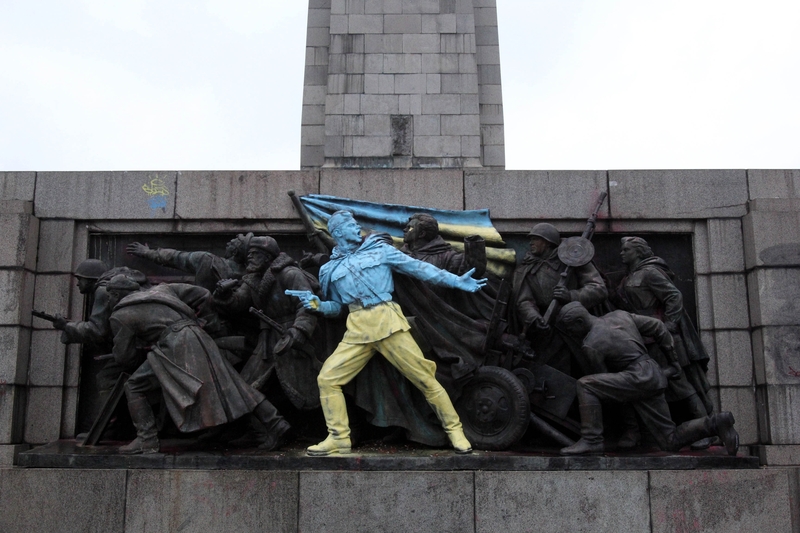 The Soviet Army Monument in Sofia was again painted today, this time in the colours of the Ukranian flag. The phrase "Glory to Ukraine!" was painted in Ukrainian. Today is also the Day of the Red Army, celebrated during the time of the USSR. Публикувано от zarichinova в 20:12 ч.